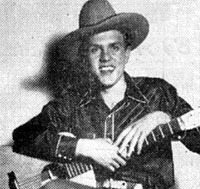 Back in 1948, hillbilly music or maybe some preferred to call it folk music or something else. In Alabama, like many areas, they could not get enough, especially when it was good. 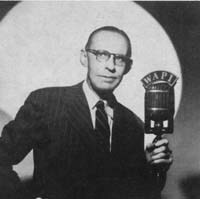 Listeners in the range of WAPI in Birmingham, Alabama tuned in to Ralph Rogers as he emceed the Alabama Hayloft Jamboree, which was said to be a '...jollification by all the greatest hillbilly stars on records..." Folks tuned in and welcomed Ralph and his 'high-jinks'. Now though the mention of this show appeared in the Song and Picture Barn Dance Magazine back in 1948, it is unclear whether this was a live show such as the other jamboree and opry shows we've got listed here. Until we get more details, we'll list it. They mention that Happy Wilson and his Golden River Boys had an air of hospitality and friendliness typical of the south back then and seemingly were on the air in 'the early morning'. Song and Picture Barn Dance Magazine No. 5 (Jan 1948)", Published by Bill Currie, 35 East Wacker Drive, Chicago 1, Ill. Yes, Hillbilly Music. You may perhaps wonder why. You may even snicker. But trust us, soon your feet will start tappin' and before you know it, you'll be comin' back for more...Hillbilly Music. It's about the people, the music, the history. Content is copyright by Hillbilly-Music.com except where noted. Articles and photos attributed to others are used by this site with the owner's permission and require you to obtain permission to re-use or reprint. 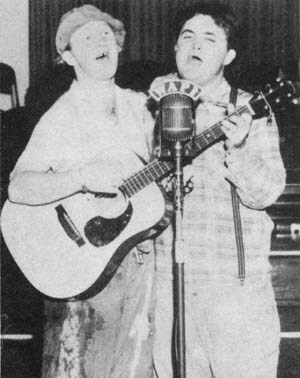 Except where noted, all information is from the collection and archives of Hillbilly-Music.com.